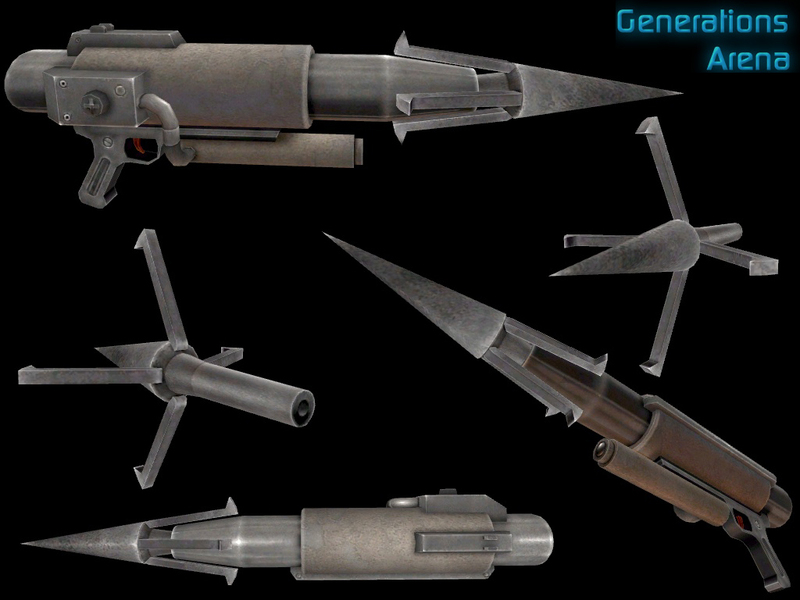 Description : This regenerative compressed-gas weapon fires a heavy steel harpoon and cable, allowing Earth Soldiers to reach areas otherwise unreachable by conventional means. The weighted projectile inflicts serious damage to any unfortunate combatants that might be in the way, and reels them in for the kill. Special Features: Reels in other players, multiple harpoons can rip players apart. Will overpower other grappling hooks.